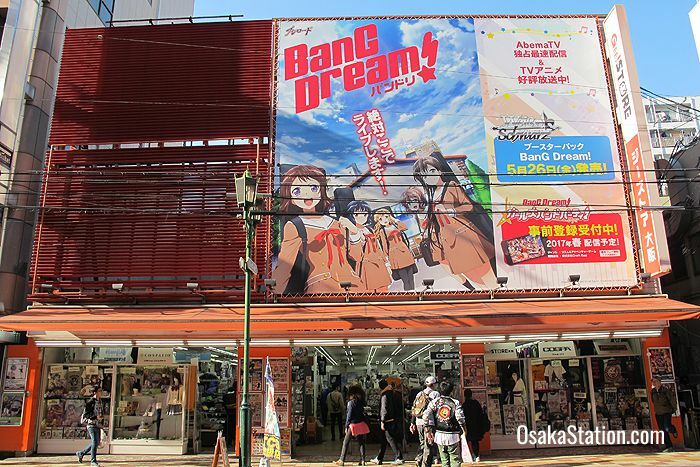 Nipponbashi is an area in the southern Minami district of Osaka that has long been known for its cheap electronics and appliance stores and has more recently become equally well-known as a center of otaku (or geek) culture. 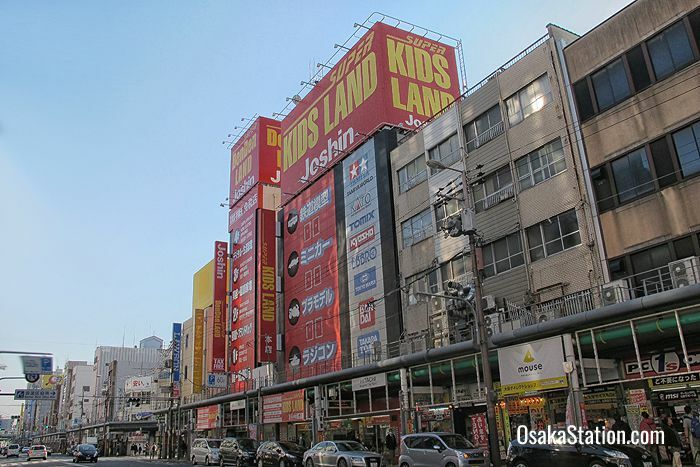 Nicknamed Denki Machi which means “Electric Town” or just Denden Town, this area is Osaka’s answer to Tokyo’s famous Akihabara electronics district. 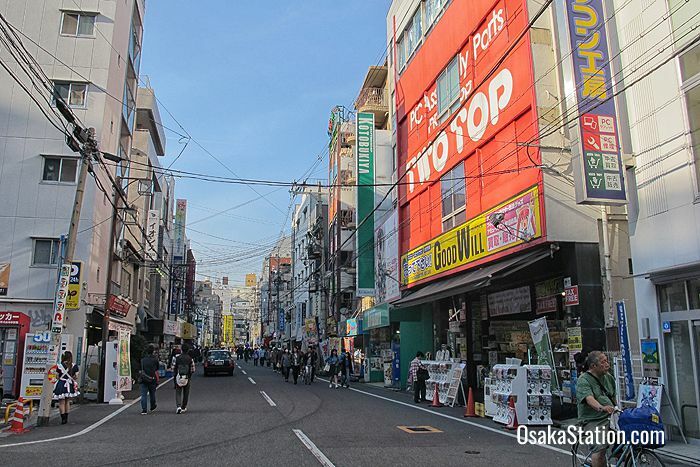 The main area of Nipponbashi is bordered on the east by the Sakaisuji boulevard, and on the west by a side street that runs parallel to Sakaisuji that has been nicknamed Ota Road (short for “Otaku Road”). In between these two streets is an area of shopping arcades and alleyways filled with tiny shops selling all kinds of electronics components and specialty electrical goods. 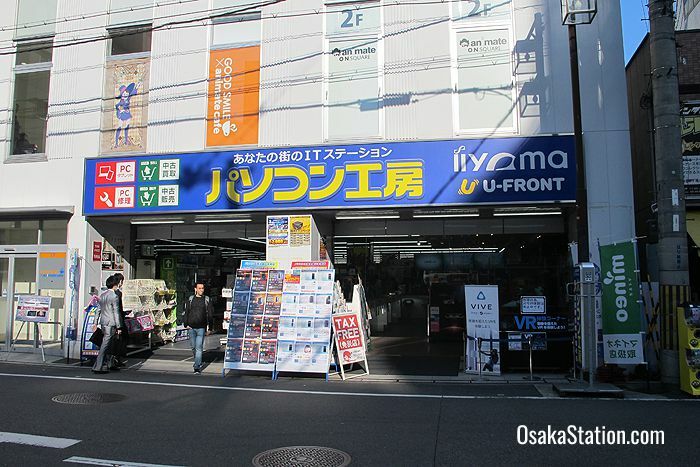 On Sakaisuji between the Nipponbashi 3-chome intersection on Nansan Dori Street in the north and the Ebisucho intersection in the south you can find all the big name electronics and home appliance retailers. The area to the west of this street has a lot of small independent stores. At many of these smaller stores discounts are common and negotiating a price is the norm. At the bigger stores there are often tax-free offers for overseas visitors. 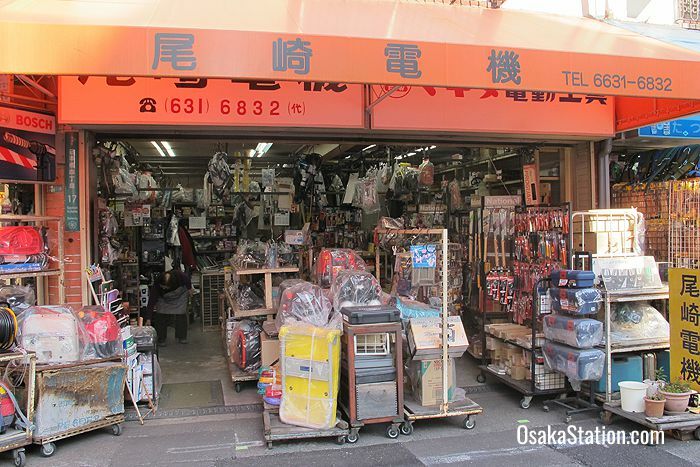 In the early 20th century a lot second hand goods, clothing, and book stores opened in Nipponbashi, and it wasn’t until after the Second World War that electrical stores began to dominate the area. 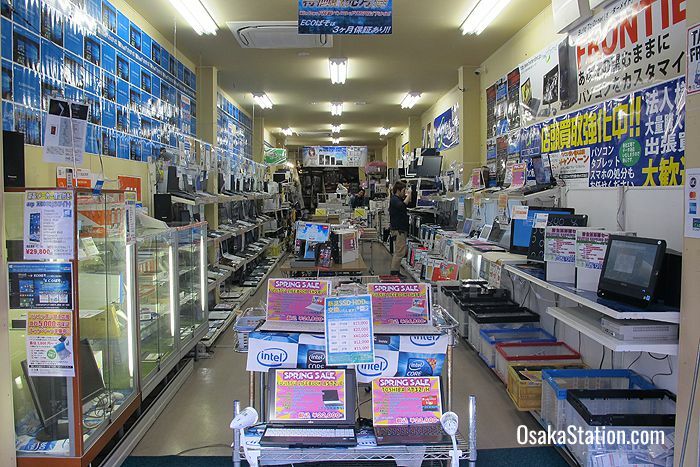 However, more recently the Bic Camera store in nearby Namba, and the Yodobashi Camera store in Umeda have been luring customers away from Denden Town and many local electronics stores have disappeared. In their place shops catering to otaku culture have appeared. You will also see young ladies dressed in French maid costumes at every intersection of Otaku Road who are trying to attract customers to their main cafes. At these cafes the girls in exaggerated maid costumes serve drinks, chat with customers and sometimes play games too. 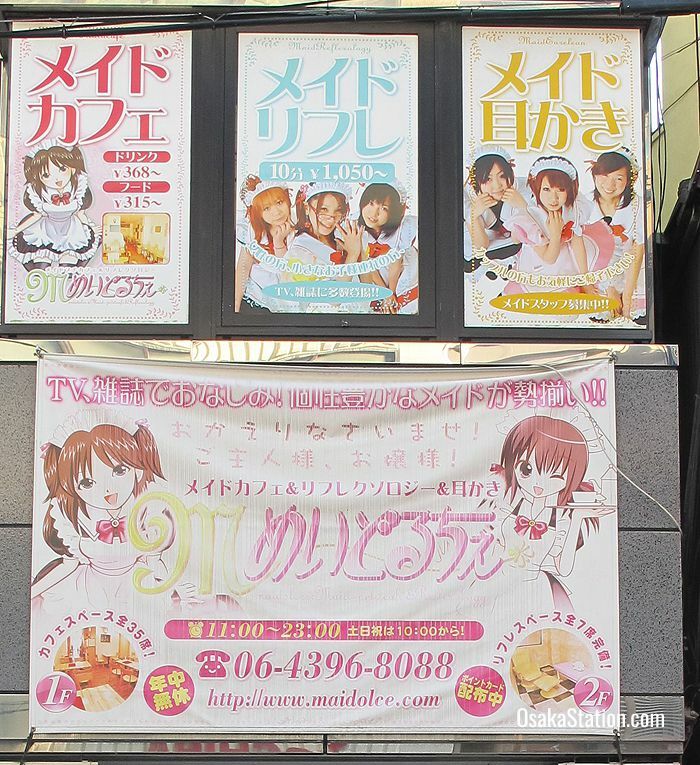 Though originally intended for young male otaku, these cafes have become popular with tourists of all genders. However, these cafes can be very expensive as your final bill is not just for the drinks, or the food, but also for the maid’s attentive service and conversation. Every March the entire Denden Town area is shut down to traffic for the Nipponbashi Street Festa. This celebration of otaku culture features a costume parade and live music and dance performances. During this event cosplayers from all over Japan congregate here and pose on the street for eager photographers. 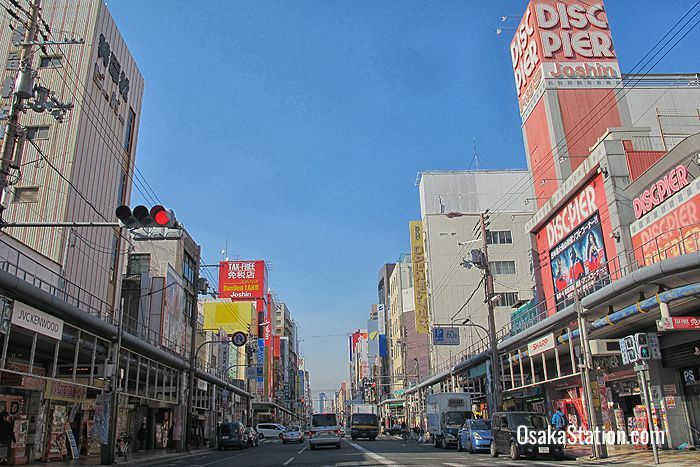 To get to Denden Town walk south from Nippombashi Station or north from Ebisucho Station. 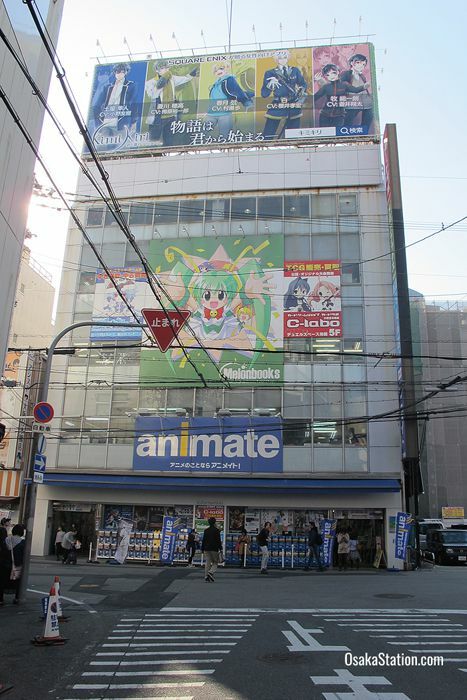 This area is located near Nankai Namba station and Kuromon Ichiba Market.